Sweet birds are nestled in the center of their colorful nest while the borders showcase the rest of the flock. Depth is created with a flange around each nest and as a border highlight. 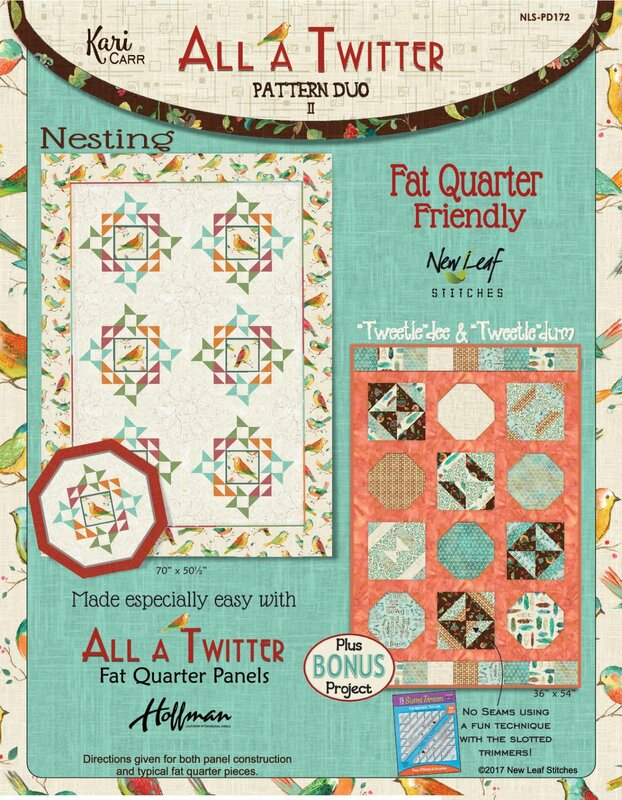 A table topper created from a single nest is included with this design. For the intermediate quilter. Simple & fun! A lap quilt created with two easier-than-they-look blocks. Perfect for the confident beginner.